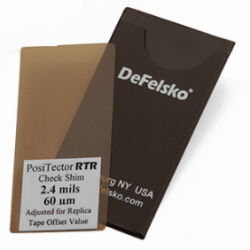 The following are just some of the accessories that are available for use with DeFelsko instruments. 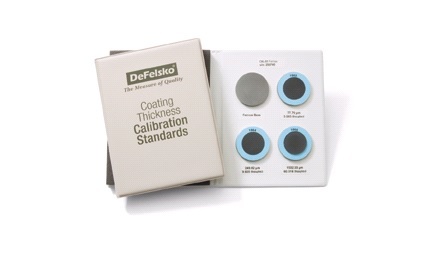 Ideal for use in the calibration lab. Used to verify the accuracy of a magnetic, eddy current or ultrasonic coating thickness gauge over its complete thickness measuring range. Standards with steel or aluminum substrates consist of four standards mounted in a durable leatherette binder. Plastic thickness standards consist of four polystyrene standards supplied in a rugged acrylic storage box. No wires, cables or connectors! PosiTector gauges instantly beam invisible infrared light directly to the IR printer. Simply align the infrared ports and select PRINT on the gauge MENU. It’s that easy! 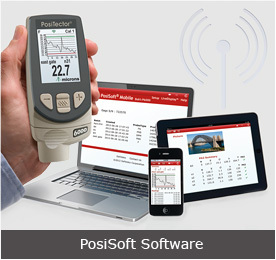 PosiSoft® Software for Windows® is an ideal solution for those who wish to download measurements to a PC for printing or archiving. 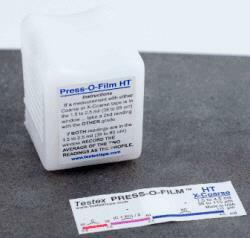 Includes Certificate of Calibration traceable to PTB. Used to check PosiTector RTR peak height accuracy (RTR-H and RTR-P). One check shim is included with each probe. Stated thickness is adjusted for Replica Tape Offset Value. FREE upgrades (direct from DeFelsko). To order any of these products please contact us at [email protected] or call (08) 8267 4744.